Looking for more cool hang out spots when you visit Paris? Don’t miss out on getting a copy of our Paris Night Guide where we share a long list of our favorites in the city! 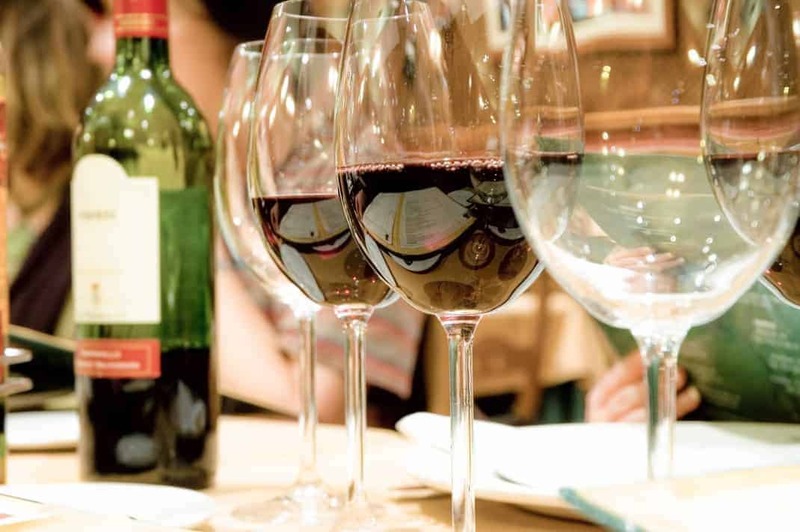 French wine is world-renowned and your trip to Paris is the perfect chance to experience the best wine tasting Paris has to offer, as well as improve your sommelier skills. Here are some top recommendations for the best places to go wine tasting in Paris! French wine tastings for the novice and master classes for connoisseurs are presented in English by trained sommeliers. Learn about terroir and appellation in these fun and informative classes, held in historic wine cellars. There are many classes available to suit the taste of any wine lover; from wine and cheese luncheons, to a Grands Crus tasting class to a wine cruise on the Seine. Localers, a guided tour company based in Paris, have created the perfect wine & cheese pairing for you to indulge in. Amber, your wine expert du jour, will take you on a friendly 2 hour wine tasting adventure in Paris during which you will understand French terroir, production techniques, and get helpful tips on how to purchase and order wine with confidence. You will taste an array of 7 wines & cheese varieties from Alsace to Provence and everything in between, in an unpretentious yet elegant Parisian setting that’s inviting to all. These historic wine cellars were established by King Louis XV’s sommelier. Centuries later, the cellars were fully renovated and opened up to the public. The wine tasting sessions at Les Caves du Louvre combine the old with the modern, using a free downloadable app to guide their visitors around the various rooms to engage all the senses in this wine tasting Paris experience. There is a room where you can practice mixing your own wine, which for an extra fee you can have bottled to take home. At the end of the tour, you can opt for a wine and Champagne tasting at the wine bar. A fun and friendly wine bar located near the bustling Odeon neighbourhood. They have a great selection of wine for you to choose from and their clued up staff are always on hand to give you some helpful advice! This wine bar offers a rather unconventional, but incredibly fun wine tasting experience in Paris. Once you arrive, you charge your Wine by One card with cash which will allow you to use their many wine machines to discover their vast selection of quality wine. The wine machines, that resemble something of a soda machine, line the walls, and you select the wine you fancy, choosing to get a small pour, and then, if you like it, you can go back and choose a larger pour. They even had a fun “mystery bottle” wrapped in all black with a big question mark for you to enjoy! This quaint and friendly wine bistro serves an impressive food menu filled with traditional French dishes that you can enjoy alongside one of their carefully selected bottles of wine. Nestled away in the trendy eateries in the of the Marché des Enfants Rouges, you’ll find a wine shop that’ll give you quite a different take on wine tasting in Paris. They’ve thought out the box, by keeping wine in a box! Bibovino’s bright purple boxed wines come from high-quality, small-scale producers and are available by the glass, carafe, or box. En Vrac means “in bulk,” an appropriate name for a bar where customers choose from a selection of natural wines that can be sampled on-site or taken off-site in fun French lemonade inspired bottles, or you can bring your own. The prices are very reasonable and it’s the perfect way to enjoy your own wine tasting in Paris chez vous! Looking beyond wine tasting in Paris, Bordeaux is definitely the most classic yet marvelous choice. Ranging from renowned Grand Cru to smaller vignerons, La Bordeauxthèque offers you a delicate collection of over 1,000 labels exclusively from the Bordeaux region. 7 hospitable vendor-sommeliers speaking English, Chinese, Spanish, Portuguese and French are ready to help you with very personalized advice on quality French wines. Comprising of a number of stores around Paris, this wine store removes all the pomp and pageantry from wine tasting in Paris and elsewhere. It keeps things simple: quality wine, at reasonable prices, chosen by theme so you know what you should be drinking with what, when. Très simple. You may not have been aware, but Montmartre has its very own vineyards which date from 390 B.C! Every year, around the first week of October, the harvest is celebrated with a parade and festival that includes wine-tasting booths, food stalls, music and dancing in the streets. This all amounts to a really special wine tasting experience in Paris! Every year, on the third Thursday of November, the arrival of the new crop of Beaujolais Nouveau wine is celebrated throughout France. In Paris, bars, cafés and restaurants offer special promotions featuring the latest vintage. Look for signs saying: “Le Beaujolais Nouveau est arrivé!” or “le nouveau est arrivé!” This will be sure to give you an insight into the custom of local wine tasting in Paris.